A bold and all-embracing exploration of the nature and progress of knowledge from one of today's great thinkers. Throughout history, mankind has struggled to understand life's mysteries, from the mundane to the seemingly miraculous. 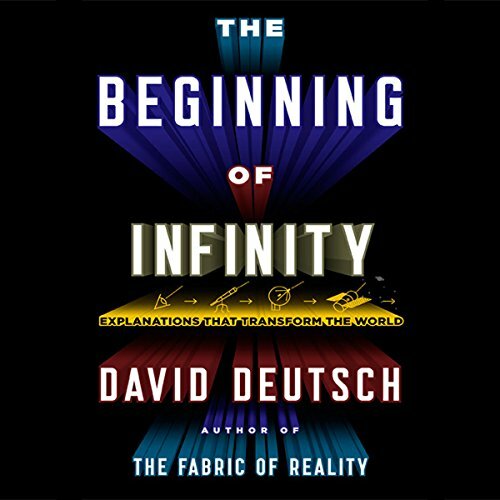 In this important new book, David Deutsch, an award-winning pioneer in the field of quantum computation, argues that explanations have a fundamental place in the universe. They have unlimited scope and power to cause change, and the quest to improve them is the basic regulating principle not only of science but of all successful human endeavor. 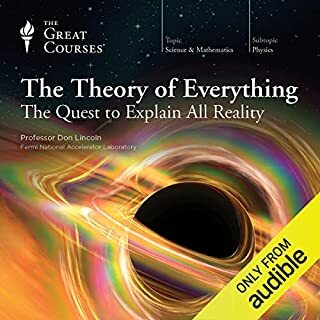 This stream of ever improving explanations has infinite reach, according to Deutsch: we are subject only to the laws of physics, and they impose no upper boundary to what we can eventually understand, control, and achieve. 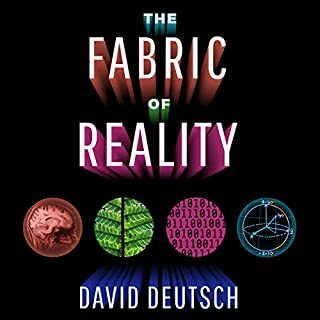 In his previous book, The Fabric of Reality, Deutsch describe the four deepest strands of existing knowledge-the theories of evolution, quantum physics, knowledge, and computation-arguing jointly they reveal a unified fabric of reality. 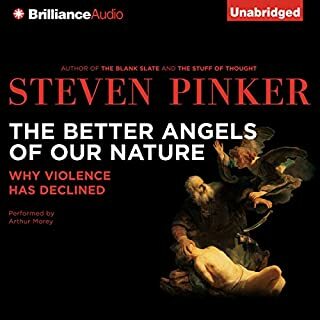 In this new book, he applies that worldview to a wide range of issues and unsolved problems, from creativity and free will to the origin and future of the human species. Filled with startling new conclusions about human choice, optimism, scientific explanation, and the evolution of culture, The Beginning of Infinity is a groundbreaking audio book that will become a classic of its kind. This book has flaws. Dr. Deutsch makes a few generalizations that I found a bit unfair -- related to physiological research and sustainability as it relates to environmentalism. I think about progress and humanity and our place in the universe differently. I think about science and the scientific method differently. It gave me glue to connect concepts I've found and liked from other books. It's deep. It's complex. It's not "easy". If you could sum up The Beginning of Infinity in three words, what would they be? Dixon's consistently fresh presentation throughout this gargantuan task is a credit to him - a really great read. 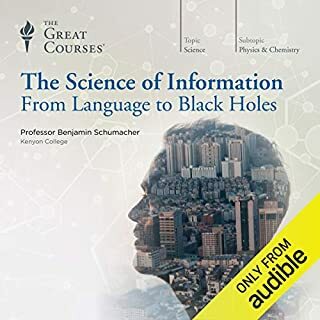 My strong impression is that this is an audiobook that no English-speaking person anywhere should fail to listen to and luxuriate in - in this case, "life changing" is for real. Thank you both for slipping its explosive reality into my unsuspecting June 2015. 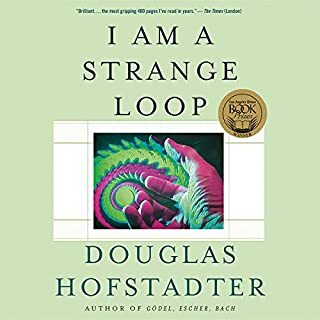 One of my favorite books and provided me with many insights into our place in the universe and how we know the things we know. Deutsch explains the very small to the very large. 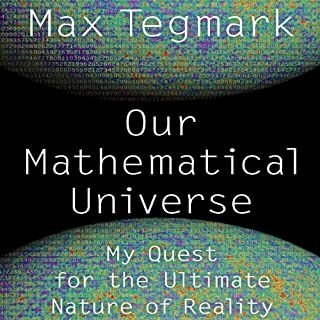 He provides a reasonable explanation of the measurement problem in physics and a consistent theory on multiple universes. 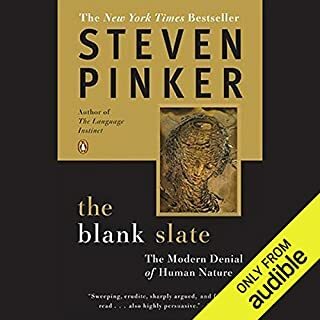 His survey of different schools of philosophies is one of the best I've read. He even has a detailed chapter on developing the most efficient election process which doesn't fully fit the theme of the book, but he explains it so well it becomes an intriguing chapter. After reading the book, you will have an appreciation for the infinity and understand what is meant by 'everything possible will happen with certainty". Perhaps the most important book written so far. Accessible language, a joy to listen to across the multitude of fascinating subjects. A complete software upgrade for your brain. 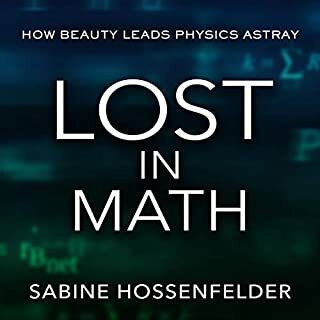 I had high hopes, as Deutsch's work came recommended by a thoughtful physicist friend I respect, but for the first several chapters I was turned off by the tone of the writing. However, as I continued listening, I gradually became convinced of the precision and truth of the knowledge Deutsch was sharing. This book is philosophy, with dashes of physics. It is important. I wish more people believed as the author does. He is careful with his definitions and rigorous with his logic. I need to get some distance from this book and then read it again, probably in writing instead of audio. That said, the memes in The Beginning of Infinity would be better replicators if the author's tone were less aloof, snotty, and dismissive of, well, most people ever. 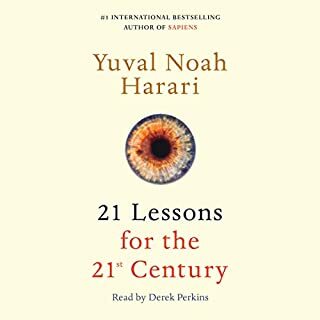 If you are the type who can listen past the veneer of an unfortunately off-putting tone to some deep ideas about the nature of knowledge, the nature of progress (in a true, not superficial sense), and a mindset of fundamental optimism through recognizing one's fallibility then please, please give this book a try. With that caveat, I do strongly recommend it. If we hold these ideas, there is no limit to what we can achieve. 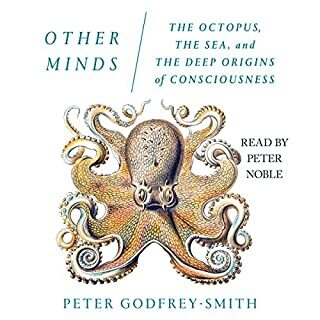 Not what I'd call an easy read, but some very compelling ideas and new ways of thinking about not only scientific inquiry, but inquiry in general. 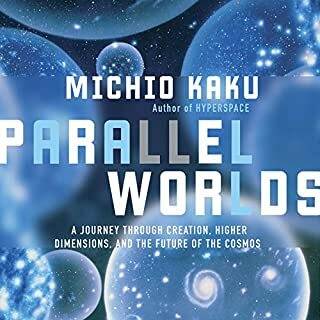 I must say I've come away from this book having a fundamentally different concept of the universe and the knowledge within it. Would you listen to The Beginning of Infinity again? Why? I'd HAVE to listen to it again if I want to understand some of the many highly abstract intellectual concepts introduced by Deutsch. I think this is a compelling read anyway. I will listen again. No. I wouldn't say they were too technical, just above my intellectual and cognitive "pay grade" in some areas. I suspect most listeners will feel the same way. Though I personally have a PhD in an admittedly unrelated-to-physics but nonetheless a very analytical and technical field, I simply could not follow certain discussions, such as the one relating to Quantum Mechanics. He was competent and a clear enunciator. However, I think actually READING a physical book would be better in this case: It would enable one to go back to prior sentences or pages to reread them. 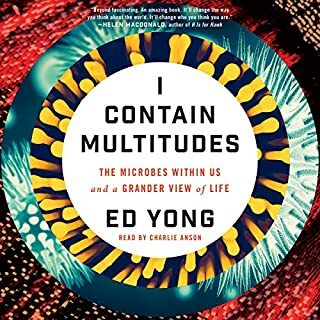 The nature of his book is such that if you didn't understand the initial paragraphs of a topic he introduces, the odds are good that you won't understand the rest of the discussion. His arguments are like building blocks. Yes, "Infinity Hotel" was one. Another was a discussion of his views, which I share, on how mankind should deal with the prospects of global warming. Deutsch is absolutely a genius. 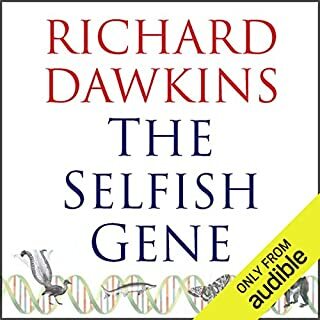 I am not convinced he is necessarily right when he tries to extend his scientific reasoning to completely unrelated fields, but he definitely makes you think in a completely new light. I'd say "Bravo". This is a very important book. This book is a wild ride! Wow. I do not pretend to understand even the 20th part of the ideas in this book. Who would have thought that a physicist and mathematician could express himself so eloquently on so many disparate subjects? 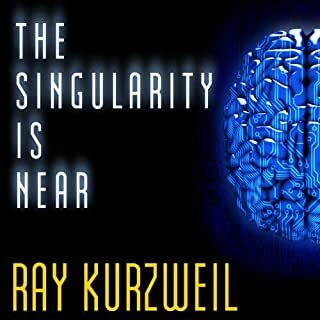 This book is all over the map; it's a wild romp through an amazing mind. David Deutsch's ego must be at least the size of the Milky Way Galaxy--no, wait, that's too "parochial", too provincial by N orders of magnitude! Well, I guess it does take some bravado to take on evolution, quantum mechanics, history, universality, even knowledge itself, and still find time for politics, philosophy, artificial intelligence, and a conversation with Socrates. Along the way, as Deutsch manages to drop an amazing idea you never heard before into just about every paragraph, his major theses boils down to two things: first, good explanations lead to an infinity of knowledge, while bad explanations have only the power to fool us; and secondly, there will always be problems, but they can be solved if we can separate the good explanations from the bad ones. Doing that in the real world we live in every day is hard, way harder than I think Deutsch realizes. We are fallible human beings who more often than not ignore even the most elegant of explanations with impunity. That said, being inside his head for the last couple of days was a privilege indeed. By the way, the reader did a great job of not being in the way! This is a book mostly about the philosophy of science. Specifically, it's about how the scientific method is the best way to increase our understanding and control of the world and our lives. I learned a great deal from the book -- have listened to it about five times. The book communicates some very important ideas, many of which I agree with and some not. While David Deutsch has unique and important things to say, he is something of a dry writer. 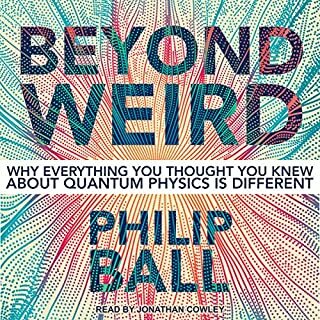 If you want to learn more about how science works and how to build knowledge and understanding of the world, read this book. As a note, the narration is great. 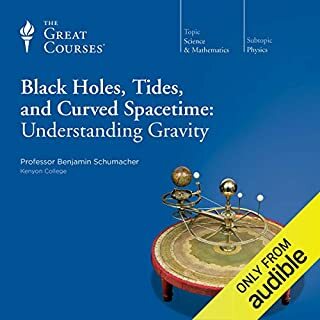 I found two of Deutsch's chapters not clear enough to understand--the chapter on the mathematics of infinity and the chapter on the Many Worlds Interpretation of quantum physics. I actually know quite a bit about quantum physics; nevertheless, his explanation of Many Worlds escapes me. Possibly, if I sat down and read it rather than listening, these chapters would have been clearer to me--something that I'm actually planning to try. As a listener, I've given up on them. The other chapters are philosophy of science, and are quite understandable. While I think that Deutsch has a great grasp of many aspects of how science works--he's both a philosopher and a noted physicist--he doesn't have as much understanding of how human beings work. For example, he seems to have no awareness of the idea of right-brained knowledge/heart knowledge. He dismisses the wisdom traditions of indigenous peoples and Eastern religions without so much as a mention. To him, these are simply primitive peoples with short, brutal lives. Since they are pre-scientific, they can simply be dismissed. He speaks quite a bit about such peoples without any specifics at all. 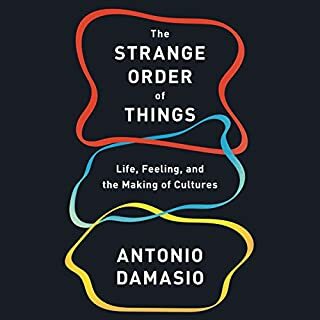 He seems to assume that we can all know about them in this stereotypical way without ever taking a closer look, as an anthropologist or a more spiritual person might. As a note, he similarly dismisses any type of spiritual experience, but with no documentation as to why we should. And he conflates spirituality with the fundamentalist religious view that the Bible is a literal history of Earth. I would not rely on Deutsch for learning about spirituality or religion. Similarly, his chapters on art and socioeconomic/political systems are weak. Deutsch wants to extend the scientific approach of explanation to these areas. I believe, however, that in these areas, we are successful if we do what works, not what should work in some logically worked out "scientific system." Deutsch would have us work out cause and effect principles, for example, for political systems. I can see this as being ideologies like "too much regulation stifles business" or "free trade hurts workers." But I think that we are seeing in the U.S. today, the downside of such ideologies. I think that our state of political knowledge at this point is such that we need, instead, to study and find out what creates the results we want rather than rely on principles and chains of reasoning that we regard as "true." In summary, I learned a lot from the "Beginning of Infinity" about how science works. Deutsch is a remarkably clear and articulate thinker. While he is limited in his worldview and not the most engaging in his writing style, he has a lot to say to us. This is an important book well worth reading. Psychology, AI, and the neo-Darwinian process of evolution are all emergent level phenomena that are products of physics. They each, in turn, lead to the creation of a beginning of infinite knowledge. And you are always at the beginning of infinity. Take your time, give this book the time it deserves! Amazing.